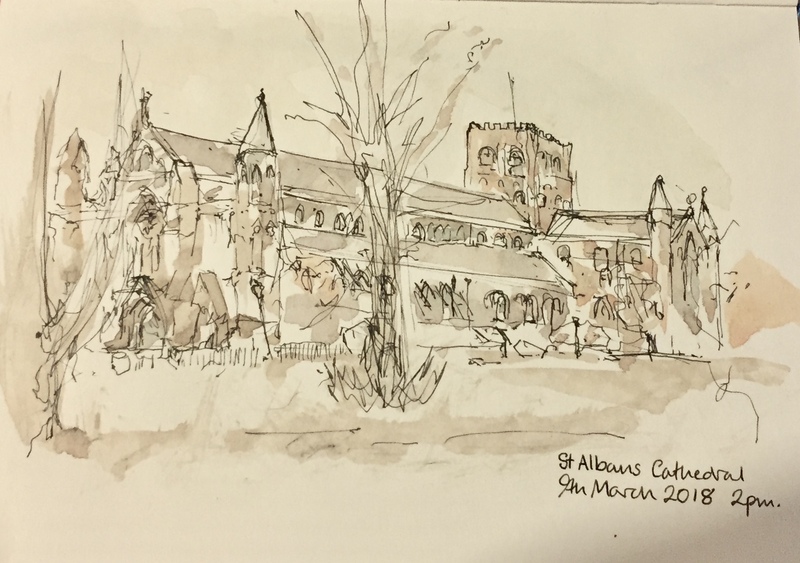 I live a short distance from St Albans and know the cathedral well. It is a huge building and you have done well to draw it all in one sketch. I have just now returned from St Albans but it was pouring with rain. Really love your work. Nathaniel. Thank you Nathaniel, it’s good to hear from someone who knows the cathedral. I hesitated about whether to put the trees in, but hey, they were there, and part of the experience. I’m so glad you like the work. It’s really encouraging to know that someone out there gains pleasure from the pictures. I love your portraits – and applaud your decision to put them on your website.